Is 'The Wire' really the greatest TV show of all time? A stark, low-budget drama that hardly anyone watched during its five-year run has been named the greatest TV show of all time by Entertainment Weekly. 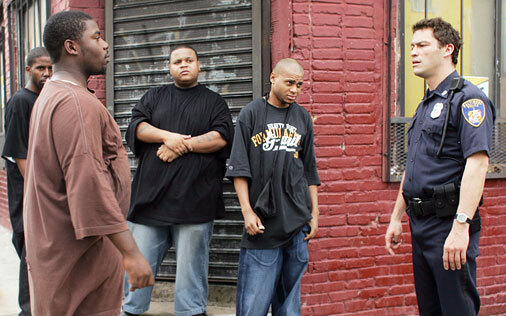 Other publications such as Time, Vulture, Slate, Complex and Newsweek also have cited The Wire as the best show in American television history, both before and after the HBO series went off the air in 2008. Responses to EW&apos;s most recent announcement have been mostly positive, which got me thinking—how did a series like The Wire become the default answer to queries about "the best show ever" and why does it still resonate so strongly with televison audiences today? Of course, the reasons that The Wire deserves to be credited as one of the best shows ever (if not the best) could wrap around multiple Baltimore city blocks. Created by former police reporter and newspaperman David Simon, the 60-episode series crackled with surprising realism and seared with a social urgency that most audiences had never been exposed to on scripted television before. Each of the show&apos;s five seasons focused on a different facet of Baltimore city life—the drug trade, the seaport system, city government and bureacracy, the school system and news print media—with mostly no-name character actors playing cops, drug lords and corrupt politicians out for blood. The sociopolitical issues were so raw, and the stories so real, that The Wire often felt like a documentary; a mirror reflecting back onto America what we needed to see. Perhaps for the same reason that the Harper High School episodes of This American Life resonated so strongly with listeners, The Wire was so culturally important at the time (and, with the exception of a misguided final season, flawlessly executed) that it changed the landscape of its medium—in this case, television—forever. Still, I maintain that plenty of other shows have been just as influential in taking TV to new heights, while also leaving lasting impressions upon their audiences and society as a whole. Although critics may consider it redudant to say that both the greatest movie and the greatest TV show of all time are about mobsters, I wholeheartedly disagree. If you haven&apos;t seen this exceptional HBO drama about an Italian-American crime family, led by anti-hero patriarch Tony Soprano (the late, great James Gandolfini), I suggest that you start now. "A show about nothing" that changed everything. In my opinion, the pitch-perfect quartet of Jerry, George, Elaine and Kramer (in addition to the terrific writing from mastermind Larry David) will remain the pinnacle of comedic greatness for the rest of time. Like The Wire, this groundbreaking AMC drama also exposes the dark and seedy underbelly of American life: shocking, grotesque, cinematic and brilliant in equal measure. Stunning, career-high performances from Bryan Cranston and Aaron Paul as the world&apos;s most empathetic meth connoisseurs are just icing on the cake. Do you believe that The Wire deserves the top spot? If not, which show would you choose?